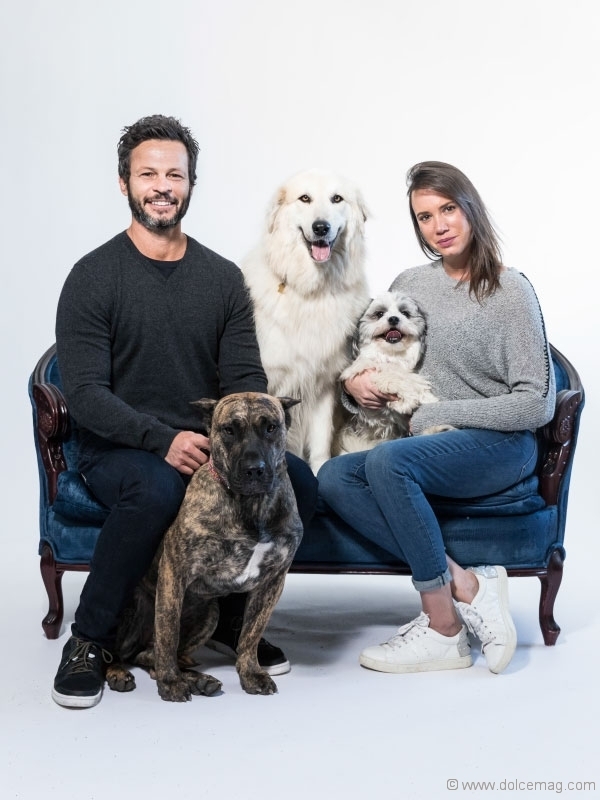 King City saviours, Danielle Eden and Rob Scheinberg’s passion for animal rescue became their life’s work. With over 100 dogs, 78 horses, and a multitude of other animals, Dog Tales is sheltering and rescuing animals from all over the globe. We’ve all seen the commercials. Sarah McLachlan’s “Angel” plays while short clips and pictures of suffering animals flash on the screen. We can easily ignore it or change the channel, as we tend to do for most commercials. We can avoid it when it’s not our reality, when we choose to remain ignorant to one of the biggest problems in the world. We have that luxury, if you want to call it that. Danielle Eden and Rob Scheinberg do not — or, more accurately, they have chosen not to. “The animals are what we are here for. That’s why it all started,” Scheinberg says, speaking of their years of donating to charities and fostering animals. Scheinberg and Eden have made it their life’s work to help all the animals they can, as many animals as possible. 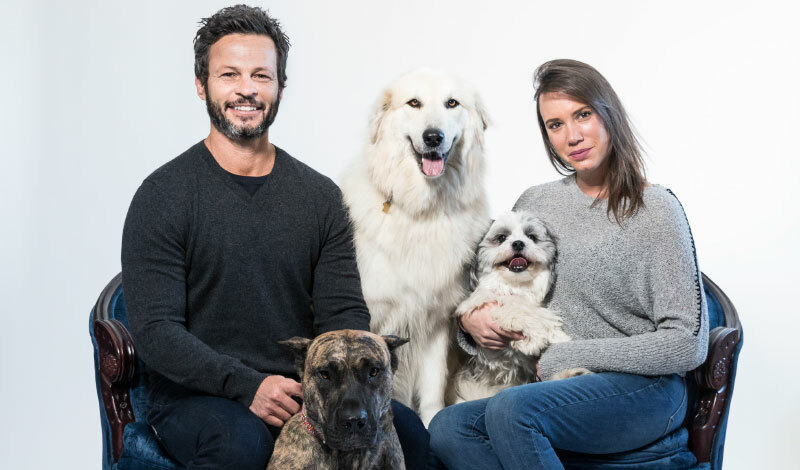 The compassion and care that Eden and Scheinberg have is what led them to create Dog Tales Rescue and Sanctuary that’s not only for dogs, but for any animal they can save. Eden and Scheinberg are from Israel, another place that is woefully overpopulated with stray animals roaming the streets. Homeless, hungry and broken, they wander from place to place trying to survive, making our modern-day cities their new-age jungle. Eden could not bear to witness this. From a young age she started to help and take care of dogs on the street, fostering and volunteering at rescues. It was not as easy as you might think. She remembers, “You just go out the door and you see a hundred dogs there, and you just choose which one you want to help” — and each one of those dogs would be starved, both for food and affection. Eden’s daily decision about which dog to help was a painful utilitarian thought experiment come to life. These kind gestures were simply the beginning of what would become a lifelong pursuit. 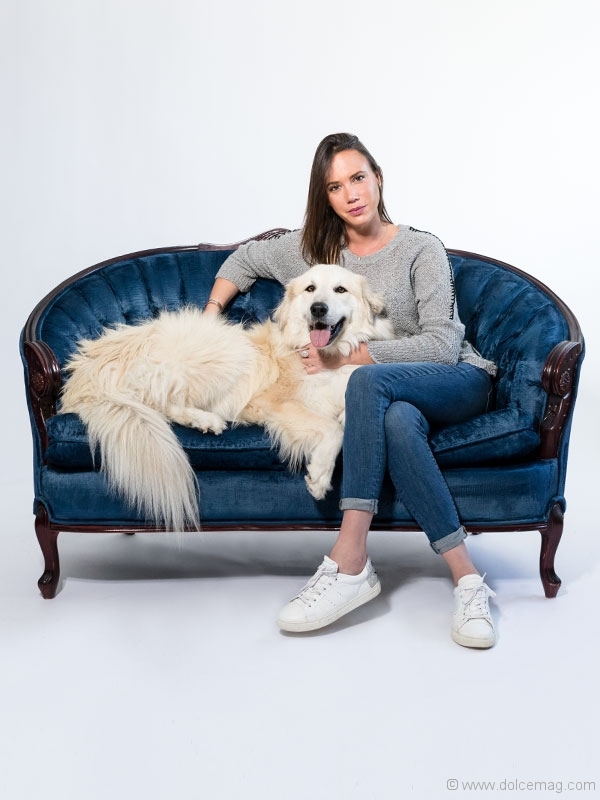 Wanting to do more, and learning that some of their donations were not going directly to the animals themselves, Eden and Scheinberg started Dog Tales. 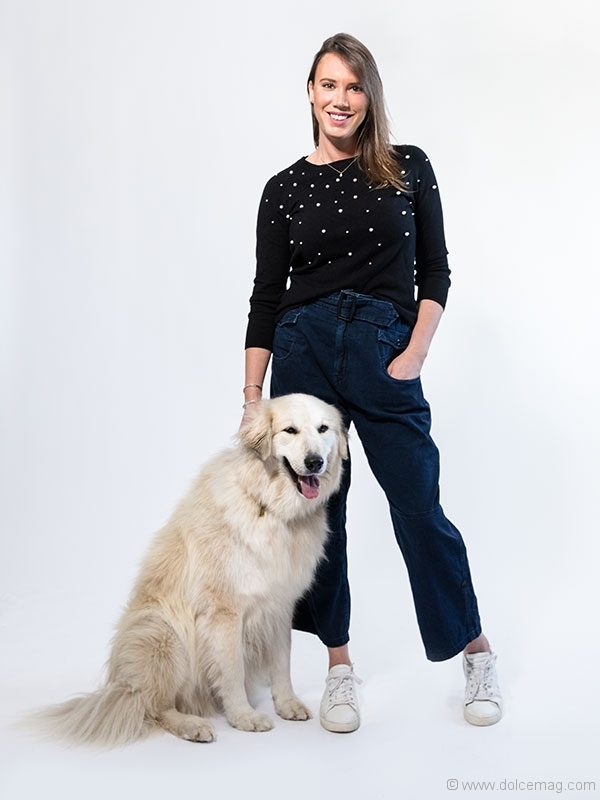 With Dog Tales, “It’s not doing it better; it’s doing our own thing and knowing that the money is actually going to the animals,” says Eden. This allows them to be safe and secure in the knowledge that all of their time, funds and received donations are going directly to the animals. 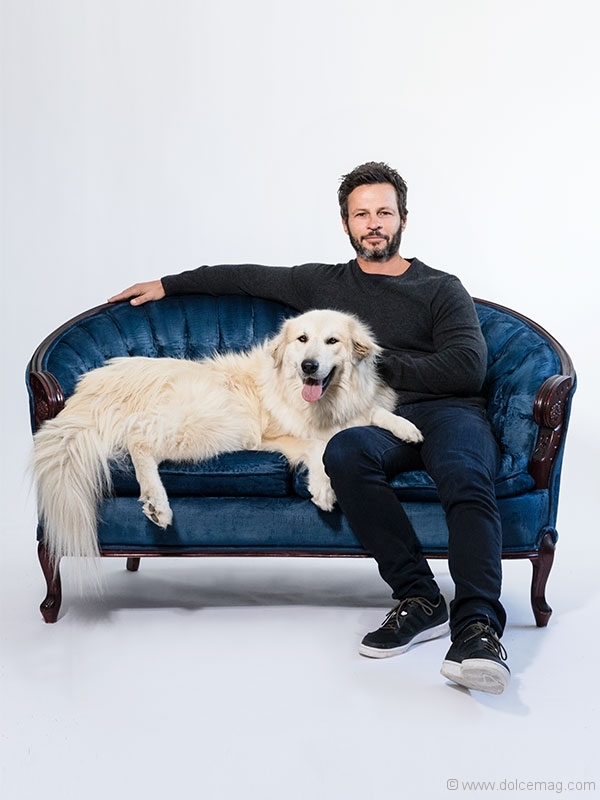 Built by Toronto-based JTF Homes, the luxurious Dog Tales estate plans to grow and expand as the unfortunate need for shelter increases. Eden and Scheinberg dedicate their time — no, their entire lives — to helping animals, showing complete altruism. Others in their position might live lives of comfort and relaxation. But not Eden and Scheinberg. While speaking about their work, Eden tries to hold back her emotions. “Somebody had to do this job, and we’re making a difference,” she says, her exhaustion showing through. It’s not easy, but they are making a difference. With 48 employees, many volunteers and some trained professionals, Dog Tales gives 110 percent to every single animal that enters its doors. Dog Tales is home to more than 100 dogs all living in specially-made kennels designed to look like cabinets and dressers, as opposed to the usual cold steel enclosures. Half of these dogs are brought in from out of the country via various partnerships Dog Tales has with shelters and rescues, while the other half are local surrenders (Dog Tales gets about 50 requests for surrenders daily). Commenting on the diverse origins of the animals, Scheinberg clarifies, “Animal rescue has no borders. A dog in need in Greece, Bosnia, Miami or anywhere else in the world is not any less in need than a dog at home.” Scheinberg is right. There are dogs all over the world that need assistance and can be brought here to Canada, given a second chance at life and adopted into a loving home. Most, if not all of the dogs that Dog Tales saves are old, ill or in bad condition. A lot of senior dogs come in from all over the world, including local shelters and surrenders. Some of these dogs have been in shelters their whole lives and don’t know anything different. Even during our interview, Eden and Scheinberg pause to accept the surrender of a 12-year-old Yorkie who is in bad condition. When Dog Tales receives an animal, especially one that is sick, they make sure that its health is checked and tested and that it’s given the medical assistance it needs. A relationship with Veterinary Emergency Clinic (VEC) allows Eden and Scheinberg to ensure that all of the animals they receive are taken care of. Clearly moved, Eden recalls a recent painful case, “a 15-year-old who couldn’t walk” who they subsequently sent into surgery. “They wanted to euthanize her,” Scheinberg angrily says, but, “she’s walking [now], she’s doing good.” Eden adds happily. In fact, many of Dog Tales’s rescues saved would otherwise be euthanized. Dogs are often euthanized because their families cannot afford to pay their vet bills, to which Scheinberg passionately states, “If you can’t afford a vet bill, and you have to euthanize a dog because it ate a sock or underwear and the surgery costs $1,500, don’t take a dog…. If you adopt a dog, it’s part of the family. Keep it for life,” Scheinberg continues, “not just when it’s a puppy and it’s playing with you, but when it’s old and it pees on the floor sometimes.” Animal owners have a responsibility to take care of their pets, not just get rid of them when they become inconvenient. Scheinberg’s point stands: if you cannot afford to take care of a pet in the event of illness or mishap, do not get one. The other side of the ownership coin is that if you can not properly look after a pet, do not get one. Scheinberg fought for two years in court, even bussing volunteers to fight with him for these dogs. It was a gruelling battle that stemmed from Ontario’s ban on pit bulls, although there are similar bans in place all over the world. Scheinberg tried to bring various animal rights groups together to fight for this cause as one, but “everybody declined, everybody refused to come together,” Scheinberg says. Eden adds, “It became an ego competition, and Rob doesn’t work from ego; he’s pure heart for the animals.” Scheinberg was the only one left fighting for the dogs, and he won. Scheinberg drove the dogs to a facility in Florida to be rehabilitated. He and Eden are personally paying for the rehabilitation. Every month Scheinberg goes to Florida to visit. Speaking about the dogs’ progress, he grins. “They’re doing amazing for fighting pit bulls. Some of them are playing with each other. Six of that batch [are] ready for adoption already. They are safe to go back to the community, in spite of everything they’ve been through.” To say that Dog Tales saves lives would be an understatement. With the negative reputation that is attached to fighting dogs, especially pit bulls, it’s all too easy to give up on them and euthanize them. But Eden and Scheinberg do not give up on animals. 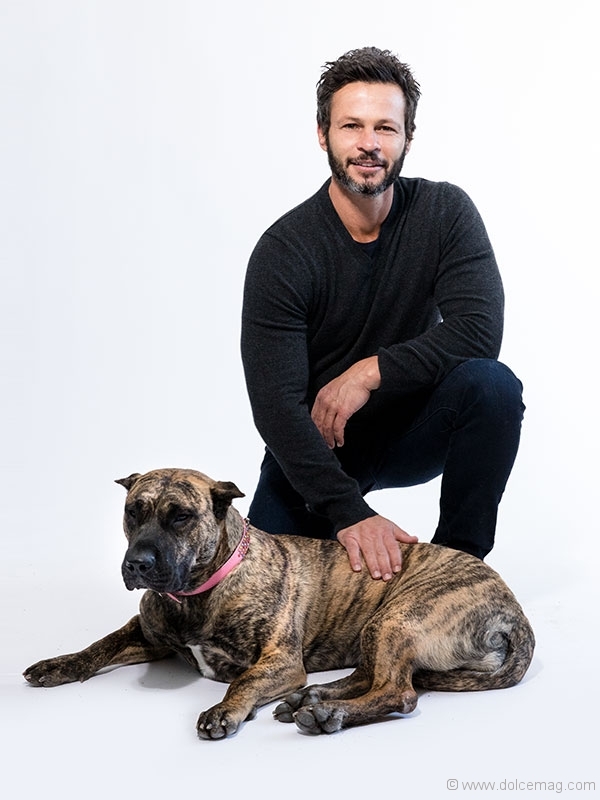 They have proven that all dogs, even pit bulls — Eden and Scheinberg hope to “delete the ban” — can be rehabilitated, saved and given a new lease on life. Dog Tales has given a second chance to all kinds of animals. It features an impressive roster of cattle, pigs and birds and is looking to add chickens, peacocks and more. But besides dogs, the animals that Dog Tales saves second-most often are horses. 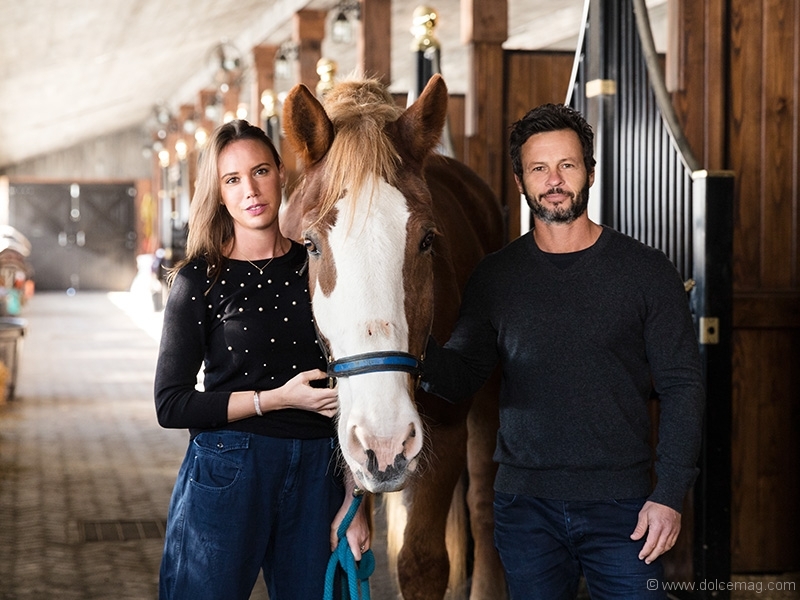 The plight of horses in Canada has been a big surprise to Eden and Scheinberg throughout this venture. When they bought the property, it had a few horse stalls; they planned to have 15 to 20 horses. Now, Dog Tales is home to 78 horses. In addition to their already insanely busy, emotionally trying work, Eden and Scheinberg go to auctions to compete against meat buyers to save horses. “About 60,000 horses a year get slaughtered in Canada for meat,” Scheinberg says. This practice has been illegal in the U.S. since 2007. Since it is not illegal here — there are hardly any regulations at all — horses are shipped here from the U.S. to be sold. “It’s their stopping ground before they get killed,” says Scheinberg. The horses are sold by weight, “25 cents to 40 or 50 cents a pound.” The big buyers are countries in Europe and Asia, with horses even being shipped alive to Japan so they can be killed to make sashimi. To raise prices, the horses are sometimes pumped “full of drugs, steroids, whatever other ‘medicine,’ and often impregnated,” according to Scheinberg. Two horses they recently bought from auction were pregnant, unbeknownst to them, and have since given birth to two lovely foals. If these horses had not been saved, both they and their unborn offspring would have been slaughtered and sold for meat. At the crux of the problem is the lack of regulations for how these animals are sold and bought. Scheinberg asks, “who’s to say this horse is healthy?” There are no methods or standards for checking the horses. “You don’t know the history, or you don’t care about the history, and you ship it for human consumption?” Scheinberg says. One of Dog Tales’ few allies in this fight is a group known as the Canadian Horse Defence Coalition, which has been fighting an uphill battle over the past decade. The Horse Defence Coalition is solely made up of volunteers, underfunded and severely lacking in resources. They need help in combatting the troubling fate that awaits many horses. Despite all they are doing, Eden and Scheinberg still feel they are not doing nearly enough. Eden laments, “The dogs that we can’t save, and knowing what’s happening with the horses – that burns my soul everyday.” Amidst all the suffering they are faced with, Eden and Scheinberg have to remind themselves that they are making a difference. “We are helping those souls, and when you have a success story, it’s worth everything,” Eden says. Indeed it is. Every single animal they have saved makes a monumental difference. The most important part to Eden and Scheinberg is raising awareness about the situation of dogs all over the world and about the treatment of horses. Dog Tales has adopted out more than 1,500 dogs to happy homes. There is a misconception that rescue dogs are not as good as a dog you might adopt from a breeder. This is not true. Just like any other dog, all a rescue needs to thrive is a loving, welcoming family. The goal of Dog Tales is to give these dogs the best life they can have. A life that they deserve. For those unable to adopt or assist financially, Eden offers another avenue of help: “They can put a post somewhere asking for blankets, for dog beds, for towels, things that we need… People can also donate their skills; that would be really helpful.” Whatever your skills or profession may be, your time and assistance are always greatly appreciated by any shelter, rescue or animal welfare organization.